People can self-direct their supports in Family Care and IRIS. Learning about the similarities and differences between these two options will help you decide which is right fit for you or your family member. All members of Family Care and Family Care Partnership in Wisconsin have the choice to participate in Self-Directed Supports (SDS). SDS offers a wide range of choices to members so that they can maximize choice and control over their services and supports. All Family Care organizations offer SDS. Members can choose the amount of help they will need from their Family Care team so that they can fully participate in SDS. With SDS in Family Care, members play a more active role in planning and making decisions. When a member participates in SDS he/she can choose to direct one, some, or all of the services available in his/her care plan. Members can choose and hire who they want to support them – family, friends, neighbors, and service providers. They can also choose providers that are outside of the Family Care organization’s provider network. SDS in Family Care begins with a member-centered planning process – not an individual budget allocation like the IRIS program. From this outcome focused planning process, a member’s support and service needs are identified. Of these supports and services, the member can choose what to self-direct. Once these decisions are made, the Family Care organization develops a budget with the member and supports the member to implement the support plan. If you are interested in SDS and a member of Family Care, ask your care manager to talk with you about your options. If you are not a member of Family Care, contact your local Aging and Disability Resource Center to learn more about SDS in Family Care. 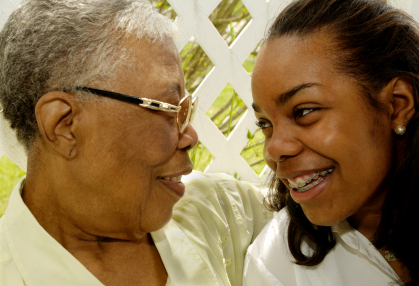 IRIS (Include, Respect, I Self-Direct) is a newer long-term care option that exists everywhere Family Care does. IRIS is sometimes referred to as the “total” self-directed supports option because people have authority over an individual budget allocation to purchase needed supports and services. People who participate in IRIS have more choices, control, and freedom to design their own support and service plans to meet their functional, vocational, medical and social needs. IRIS participants (or their family members or representatives) are in charge of their supports and their lives. IRIS participants create a support and service plan within an individually assigned monthly budget allocation. This individual budget is determined during the Long-Term Care Functional Screen and is based on the unique needs of the person. Like Family Care, IRIS participants may hire their own support workers (including family, friends, neighbors) and they may purchase goods and services from an agency or service provider. In IRIS the participant chooses the services they need and they decide how to spend their monthly IRIS budget. IRIS participants select an IRIS Consultant to help them with initial and ongoing planning. Each IRIS participant can choose how much planning assistance they will need. IRIS participants can also access help from the from the IRIS Consultant Agency. The IRIS Financial Services Agency pays the bills for services that are authorized according to the participant’s IRIS plan. To learn more about the IRIS program, visit the Department of Health Services IRIS program website.